The future of Fermilab's campus may rely on the interactions not only of particles, but also of frontiers: the Energy and Intensity frontiers. This is the idea behind the Muon Accelerator Program, a collaboration designed to study the possibility of a future neutrino factory and muon collider. 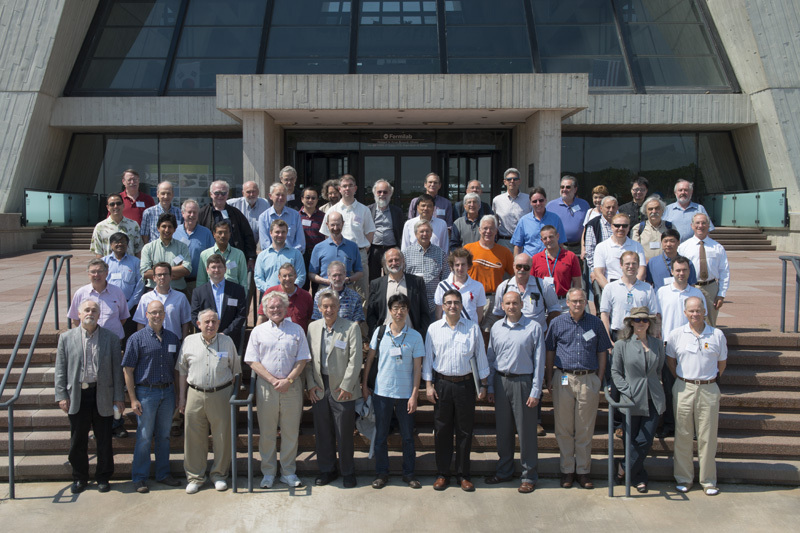 The MAP collaboration met at Fermilab in June to, among other things, kick off its Muon Accelerator Staging Study, headed by Jean-Pierre Delahaye of SLAC National Accelerator Laboratory. Also at the meeting were Steve Brice and Dmitri Denisov, who in March were officially named Intensity Frontier program scientist and Energy Frontier program scientist, respectively. "The reach of MAP is unique in that it can support world-class physics on both the Energy and Intensity frontiers," said Mark Palmer, director of MAP. "The purpose of this meeting is to develop that vision and support that effort." The completion of MAP's ultimate end goal—a multi-TeV muon collider—is likely more than 20 years into the future. But instead of proposing a 20-year, multi-billion-dollar project, the team is considering a series of staged facilities that could be built with smaller amounts of time and money. Each stage would produce good physics on its own while contributing to the development of the whole. "The staged approach is more realistic to get resources, and at the same time it helps to develop, test and validate gradually the technology necessary for the next stages, thus allowing an informed decision before embarking upon each subsequent stage," Delahaye said. As particles travel around an accelerator ring, they emit synchrotron radiation—the lighter the particle, the more radiation it emits. A linear collider solves the radiation problem but is far less efficient than a ring. Colliding muons in a ring solves both problems: Because muons are far heavier than, say, electrons, they can travel in a ring without producing significant amounts of synchrotron radiation. "The hope is that MAP would at various times give us world-leading machines both on the Intensity Frontier with a neutrino factory and then on the Energy Frontier with a new colliding machine, a muon collider," Brice said. The proposed first experiment in the process is called nuSTORM, a low-intensity muon storage ring that would support a high-precision, short-baseline neutrino oscillation experiment using muon beams. 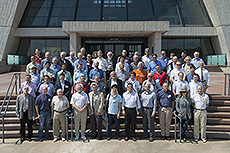 MAP scientists advocate the use of nuSTORM as a platform for the development of advanced muon accelerator technology. Advised by the Fermilab Physics Advisory Committee, the laboratory director accepted the proposal for nuSTORM in late June. This experiment could then be followed by a long-baseline neutrino factory, NuMAX, which would be driven by the Project X Phase 2 negatively-charged-hydrogen ion linac and point toward the Sanford Underground Research Facility in Lead, SD. The infrastructure implemented for this facility could then serve as a foundation for the next collider operating at Fermilab. 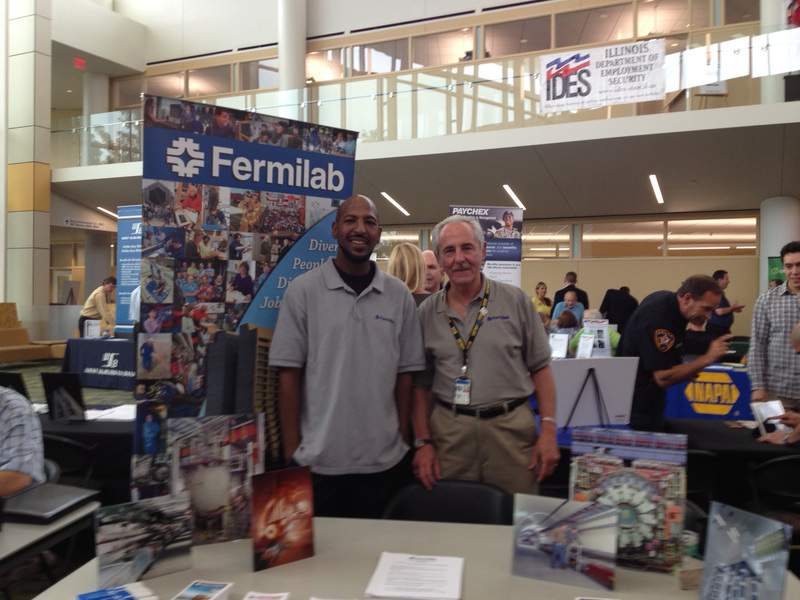 The Fermilab Employment Department continued its initiative to hire veterans last week when employees Jason Johnson, WDRS, and U.S Army veteran Joseph Morgan Sr., BSS, attended the Welcome our Heroes Veterans Job Fair at the College of DuPage. All hiring managers are encouraged to consider United States veterans as potential employees. Veterans are highly attractive candidates with proven leadership, poise under pressure, integrity, dedicated work ethic and tech savvy with a global outlook. Read additional information about the merits of hiring veterans. On Wednesday, the House of Representatives passed by a vote of 227-198 the FY 2014 Energy and Water Development Appropriations Bill. During its two days of deliberations on H.R. 2609, the House considered more than seventy amendments to this legislation on programs such as ARPA-E, energy efficiency, Yucca Mountain, and life extension programs for nuclear weapons. Among these amendments were several relating directly to the Office of Science. The warm weather brings many cyclists to Fermilab, increasing the chances of collisions with motorists. To minimize this risk, Fermilab's ESH&Q Section and the Traffic Safety Subcommittee (TSS) urge everyone to be aware of this issue and follow the Illinois Rules of the Road. 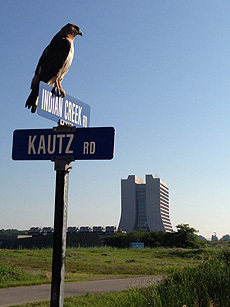 These rules apply to motorists and cyclists, and they are enforced at Fermilab. Fermilab stresses to employees that they must watch for bicyclists and respect bicyclists' rights to share the road. Fermilab has turned its attention to bicyclists because of complaints that some of them ride through stop signs without stopping or looking for oncoming traffic. There have also been complaints that some cyclists ride more than two abreast, taking up a full lane or more. The Illinois vehicle code (625ILCS 5/11-1505.1) states that "persons riding two abreast shall not impede the normal and reasonable movement of traffic." 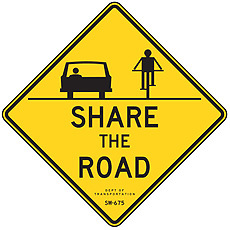 Although riding two abreast is legal, the Illinois Vehicle Code also recommends riding single-file if possible. This is safer because it presents less chance of bicycles impeding traffic flow. 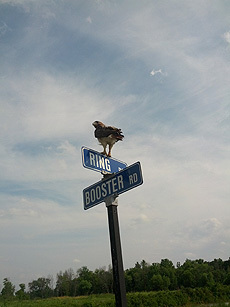 Impeding traffic can frustrate some motorists. But motorists should remember that driving a little slower for a few minutes beats taking a chance you may regret for life. The Fermilab Community Advisory Board has said that cyclists impeding traffic has been an issue in the Fox Valley area as well as across the nation. Batavia and Kane County Forest Preserve police have ticketed bicyclists whose behavior puts others at risk, and Fermilab has issued tickets to bicyclists as well. Many of the Community Advisory Board members say they bicycle through Fermilab recreationally or as part of racing clubs and would not find a safety campaign or increased enforcement offensive. Fermilab promotes education and awareness through TSS Awareness Training, Fermilab Today, The Porcelain Press, Site Entry Safety Slogan signs, and the Take 5 posters and website. The Fermilab gate guards also come out periodically and stop bicyclists to advise them of the Illinois bicycle rules of the road. If bicyclists and motorists comply with state laws, it will help keep the roadways safer for all. 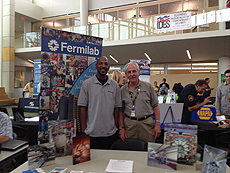 For more information, visit the Traffic Safety Subcommittee Web page or Fermilab Security's Traffic Safety page. 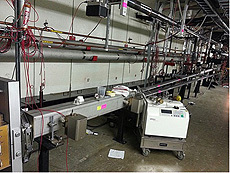 Operators continue to run Linac and Booster beam every weekend. NuMI is ready for beam. The Main Injector RF system ran at 70 percent power for one week. Instrumentation personnel installed the Main Injector-20 microwave detectors at areas 201 and 202. Vacuum technicians completed all the vacuum installation work for the Accelerator and NuMI Upgrade. 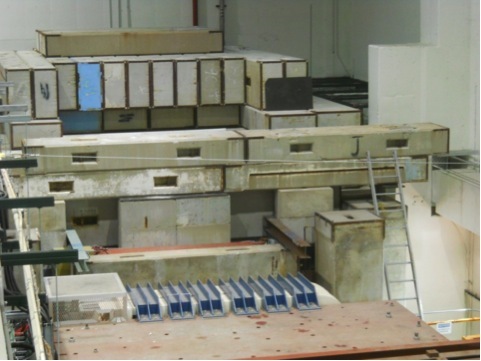 Vacuum technicians completed the Recycler vacuum installation and installed the Injection Lambertson beam box, both in the Recycler-30 straight area. Bake of MI-30 Lambertson magnet to improve vacuum. Instrumentation personnel cleaned and assembled the Transfer Hall beam position monitor. Technicians installed a beam Cherenkov in the NM3 enclosure. Riggers installed additional shielding at the NM4 enclosure (SeaQuest experiment). Fermilab discount at Don's Auto Ade Inc.